This series, which comprises 20 spray-painted images, derives its title from the book, Illuminations, written by the nineteenth century French poet, Arthur Rimbaud (1854-1891) whom Sidney Nolan greatly admired. The book is a compilation of Rimbaud’s free-verse poems and they are amongst his most imaginative and emotive, delving into the subconscious and exploring sensory experience. Nolan described it as a ‘book of miracles’ (Gilchrist, 1985), and while the artist does not seek to illustrate Rimbaud’s writing he used it as a source of inspiration and springboard to develop a new artistic language. While many of these works relate directly to Rimbaud and his life, they are to some extent autobiographical, reflecting Nolan’s own personal and artistic journey. Guns, skulls and crucifixes, as well as heads (or masks), frequently appear in this series. As the Australian art critic, Elwyn Lynn insightfully remarked, it is the ‘damned and doomed’ that fascinated both Rimbaud and Nolan (Lynn, Illuminations, 1983). When Nolan was young he worked in a design and advertising company where he learnt to use enamels and spray paints. 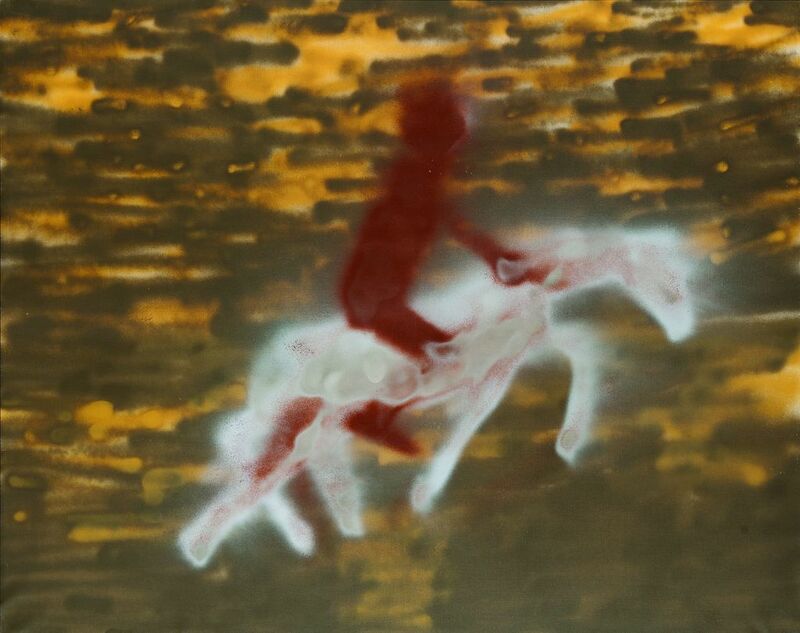 From the early 1980s, the artist began to explore the creative possibilities of spray painting and these works, which were all created in 1982, are amongst his earliest. Nolan enjoyed the immediacy and directness of spray painting, along with its expressive potential. Spray painting enabled him to blend and create layers of colours and it was a medium he employed in subsequent works, including Remembrances of my youth.